I’ve finally jumped into modular synthesis. I initially wanted to add a few FX to complement my pedal bank. 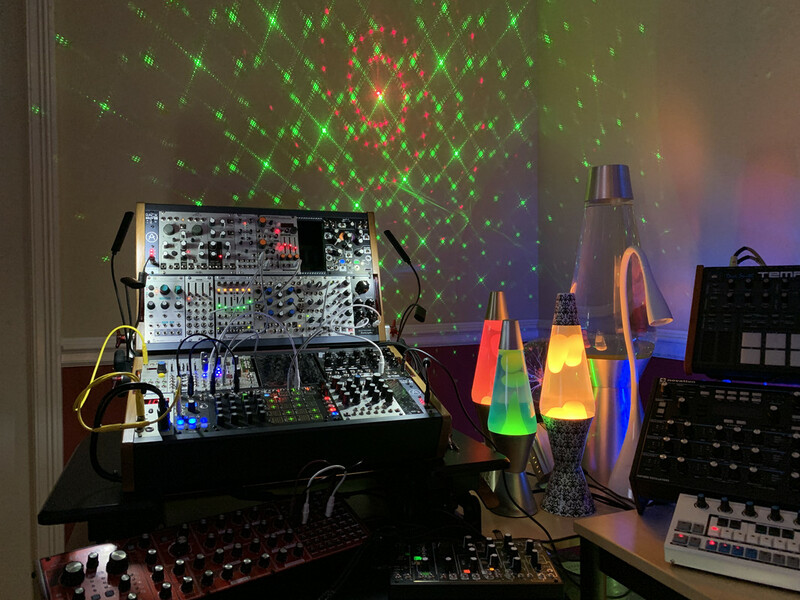 I am into Techno and Rave and hence like reverb and delay drenched analog monophonic synth sounds. As I have plans for a “surplus” 104 HP, looking for ideas to complement this system. Well, a few things...first of all, if you have something that's already in a case, keep it in its case. I'm sure there'll be a temptation to put the 0-Coast and/or Neutron in your Eurorack cab, but you need to resist this. Keep the cab free for things which don't have the convenience of already being in their own case...it allows for more space, and in the end it's much more cost-vs-space effective. The module compliment sounds decent...but have you attempted to do any test builds of the system on here yet? I really suggest that if you haven't, you should do so. The fact is that, while you could do your configuration testing with the physical devices, it's not really the best idea to be taking them in and out numerous times. The likelihood of damaging something, such as pins on your distro boards, stripping a screw and so on might seem minor, but they can add up to a major hassle if they accumulate. You can also get some clues as to how you'll want to implement that second 104 hp case from how the first case gets put together. Third, consider your controller situation. You'll definitely want something at hand that has a typical black-and-white keyboard and CV/gate outputs. My suggestion would be to snag an Arturia Keystep...not expensive, plus you get a polyphonic step sequencer, chording modes, an arpeggiator in the deal, plus some ribbons for pitch and mod expression. Adding a Beatstep Pro to this would also give you more (and more complex!) sequencing with onboard quantization, plus an additional pad-based controller, again for cheap. Sounds like a good start, though...that's a well-considered list. @Lugia: Thanks for the suggestions! The semi-modulars will stay in their respective stand alone cabs, for sure. I do have a Keystep, but thought I’m already set with having Rene, Pamela’s New Workout, a Social Entropy Engine, and an Analog Four as CV based sequencers. Not shown is the Replicator, which will be housed in a separate 104 hp cab. I’d be really interested in getting your and others thoughts on the arrangement of modules. My thoughts here were as follows; keep the sound sources on top and the key mixer modules within easy reach. Alls LFOs, envelope generators, attenuverters, and modulators are occupying the middle rows. Clock and sequencer on the bottom left (also the Lapsus Os, as it can function as a “master attenuator”. Filters and FX on the right with a top to bottom signal flow and the Fusion VCA as main out. Yep, that's exactly what I meant...and this layout looks quite good, indeed. It follows what I call the "up-left/down-right" pattern, where control signals move upward on the left side toward the voicing row(s) at the top, from where the audio flows back downward on the right side through mixers, modifiers, processing and then the final mix. It's a really intuitive type of layout, making it easy to sort out where a problem with a patch might be located, aside of simply making the whole mess easier to control in general. And in between the "control-in" on the bottom left and the "audio-out" on the bottom right is the perfect place for a controller, as it's a simple reach from that in either direction to make changes to your major global functions. Nicely done! @Lugia: thanks very much for providing helpful feedback! 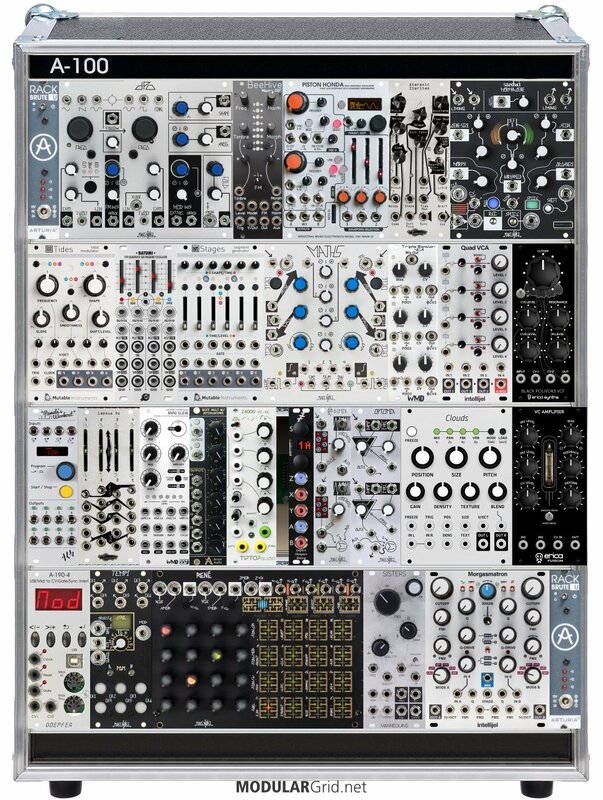 Even for gearhead synth nerds stepping into modular can be a bit tricky. Fortunately, this site makes it really easy to plan and there’s experienced modular users like yourself willing to help. I feel this smallish system already offers vastly different sonic possibilities than the rest of my setup. Very glad I got to add this modular synth.